There's Danger in those Hills! The more rugged the landscape, the more fearsome the monsters! Next time your players are ready to trudge their way up the hills in search for giants and dragons, they won't have to wait for you to draw every tree and boulder. 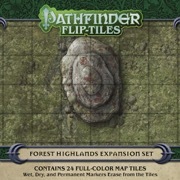 Pathfinder Flip-Tiles: Forest Highlands Expansion Set provides beautifully illustrated 6"¬†¬†6" map tiles that can transform your forest into wooded crags filled with peril and adventure. 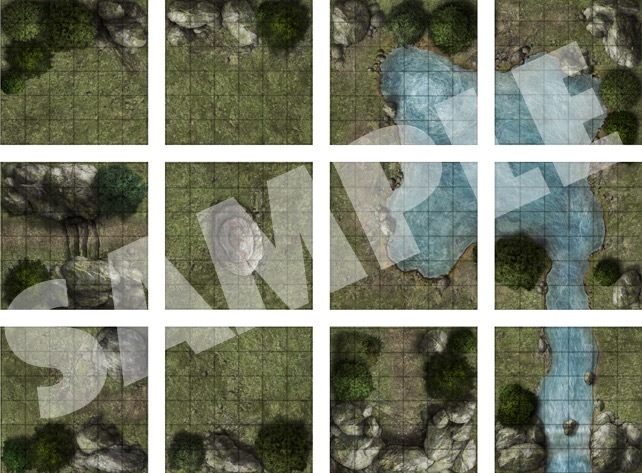 Inside, you'll find 24¬†richly crafted, double-sided map tiles. 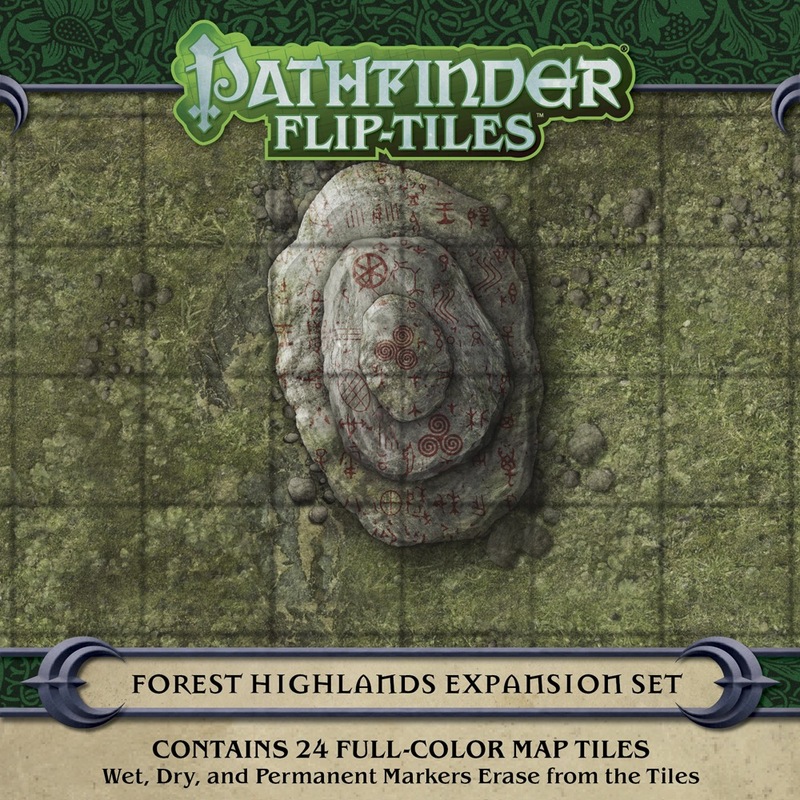 This expansion set, along with Pathfinder Flip-Tiles: Forest Starter Set, allows you to create endless tracts of hilly forests quickly! So stop your sketching and start your flipping today! That means we'll get another urban expansion set next. I love these! I can't wait to see more sets, and it would be so cool if these could eventually have elements that allow those of us who missed previous map packs and flip mats to be able to recreate (at least approximately) some of those old maps.